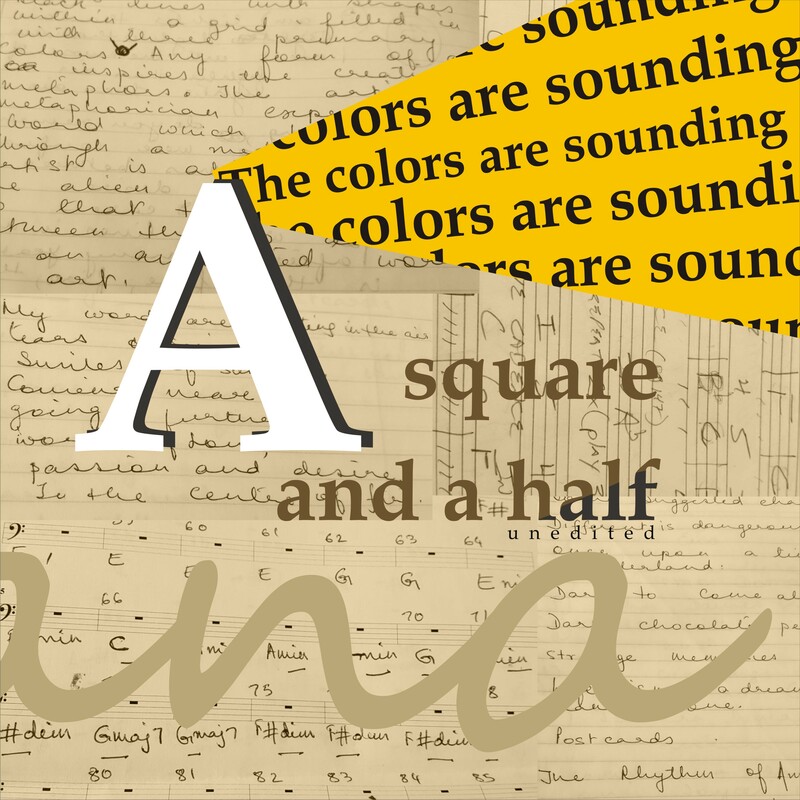 The project launch and preview are at the MIT Museum in Cambridge, Massachusetts, on Oct. 12, 2018, at 6.30 p.m.
CAMBRIDGE, Mass., September 13, 2018 – A Square and a Half-The Colors are Sounding is a fragmented journal and music project written and composed by music researcher, sound artist and lyrical storyteller Ivaana, who is based in Cambridge, Massachusetts. The book began to take shape in 2012 when Ivaana wanted to transform her own experiences as an open source researcher at the Massachusetts Institute of Technology. Whilst constantly seeking new ways of understanding and transforming scientific research and information, she figured that she was also reshaping her own mental processes spontaneously. Slowly the process became a tapestry of ideas, memories and a tumbling interplay of literary, scientific and musical expressions. The book is filled with umpteen graphic images and visual poetry which further illustrate the transfusions of her experiences. The book is deliberately kept unedited and written in the stream of consciousness technique, for Ivaana wants to share the entire gamut of her journey, in the way that she lived it through the process of unraveling her inner world in relation to a world of deep research and knowledge. Attention to detail, observation of the world outside in relation to the inner source of inspiration and the passion to critically and imaginatively reflect on life is a wonderful exercise that can lead to the greatest of original stories, poetry or music. A Square and a Half-The Colors are Sounding will also be used as one of the reference books for her upcoming online school Cambridge Creation Lab. The hard copy of the book will be available for sale at the school’s website in October. For sale inquiries or other relevant questions/media inquiries, please contact Ivaana Muse at [email protected] or call (954) 479-2582.